Make your laundry room a happy place! A well-organized laundry room, whether large or small, can be a great addition to any home. With the right storage solutions, your laundry room can be versatile, functional and attractive. 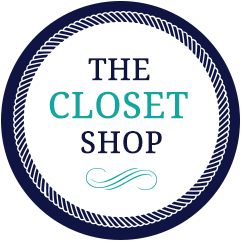 The Closet Shop can help transform any space into one where you'll have room to fold, treat stains and store all your supplies in practical, easy-to-find ways. Our wide variety of cabinets and pull-out hampers will make doing the laundry a far more efficient and pleasant task.